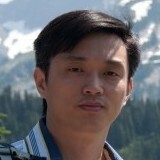 Yang Liu is a Lead researcher in the Internet Graphics Group at Microsoft Research Asia. He received his Ph.D degree in computer science from The University of Hong Kong in 2008, Master and Bachelor degrees in Computational Mathematics from University of Science and Technology of China, in 2003 and 2000 respectively. After completing his PhD degree, he worked in Alice group at INRIA/LORIA as a Post-Doctoral researcher since 2008. He joined Microsoft Research Asia in 2010. His research interests span in geometric modeling and optimization, mesh generation, computer-aided geometric design, architectural geometry and computational algebraic geometry. For more information and my research, please visit my Homepage on Github. Lead Researcher, Microsoft Research Asia, 2015-now. Researcher, Microsoft Research Asia, 2013-2015. Associate Researcher, Microsoft Research Asia, 2010-2013. PostDoc, Alice Group, LORIA/INRIA, 2008-2010. Ph.D in Computer Science, The University of Hong Kong (HKU), 2008. Bachelor, Master in Mathematics, University of Science and Technology of China (USTC), 2000 and 2003, respectively. Paper Reviewer: Siggraph, Siggraph Asia, Eurographics, SGP, PG, GMP, GI, VR, CAD/Graphics, IEEE Vis, CVM, TOG, TVCG, CAD, CAGD, IEEE CGA, J. Symbolic Computation, Visual Computer, Computers and Graphics, Graphics Models, Signal Processing: Image Communication, Journal of Computer Science and Technology, JCAD. HLBFGS: A hybrid L-BFGS optimization framework which unifies L-BFGS method, Preconditioned L-BFGS method, Preconditioned Conjugate Gradient method. (Source code in C++). QCVT: Fast 3D Centroidal Voronoi Tessellation for a convex domain. 3D Voronoi Tessellation and Restricted Voronoi Diagram. Source code is available in the supplemental material of LpCVT paper. Dr. Xiao-Ming Fu (from USTC, 2012.9–2016.6), now assistant researcher at USTC. Dr. Caigui Jiang (from KAUST, 2015.6–2015.8), now PostDoc at MPI. Dr. Shuo Jin (from CUHK, 2014.8–2015.1), Now PostDoc at LORIA/INRIA. Shuang-Ming Chai (Undergraduate, from USTC, 2013.7–2014.5), now PhD candidate at USTC. Dr. Pan Hao (from HKU, 2012.9–2013.1), now associate researcher at MSRA. Dr. Yufei Li (from HKU, 2011.9–2012.2), now at Merrill Lynch. Dr. Jun Wang (from USTC, 2010.7–2011.1), now senior research engineer at BaiDu.